Categories: Smiles | Tags: adventure, Jack Kerouac, quote of the day, something to smile about, travel | Permalink. Congratulations go out to @thequiltingdoberman! 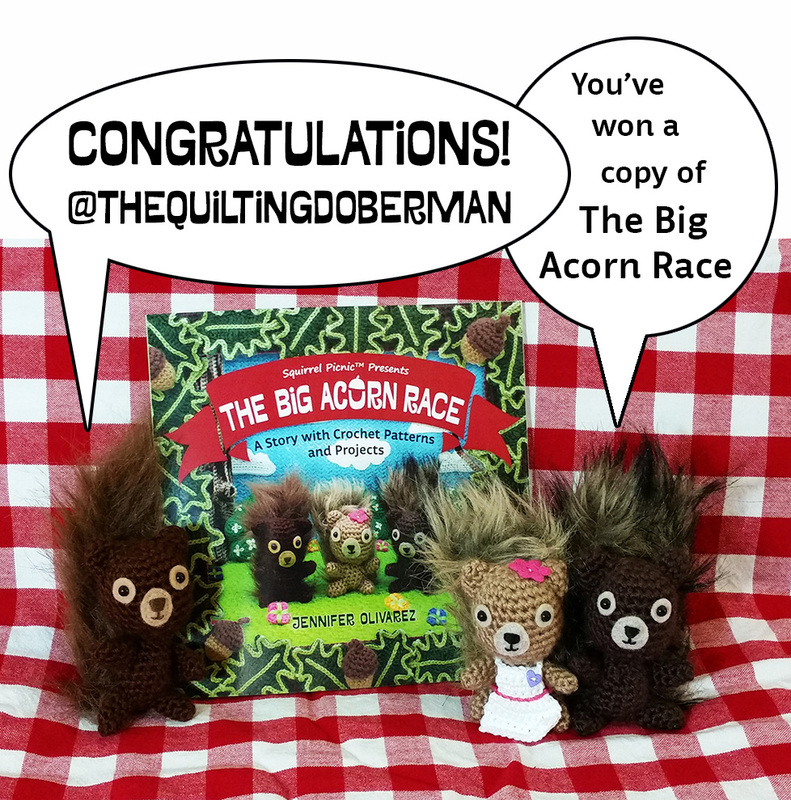 You have won your very own copy of The Big Acorn Race. Please email squirrelpicnic(at)gmail(dot)com with your mailing address and I’ll pop your prize in the mail today. We’re working hard on getting the book into yarn shops nationwide as well. I’ll keep you posted on where you can find these little squirrels and their adventure. 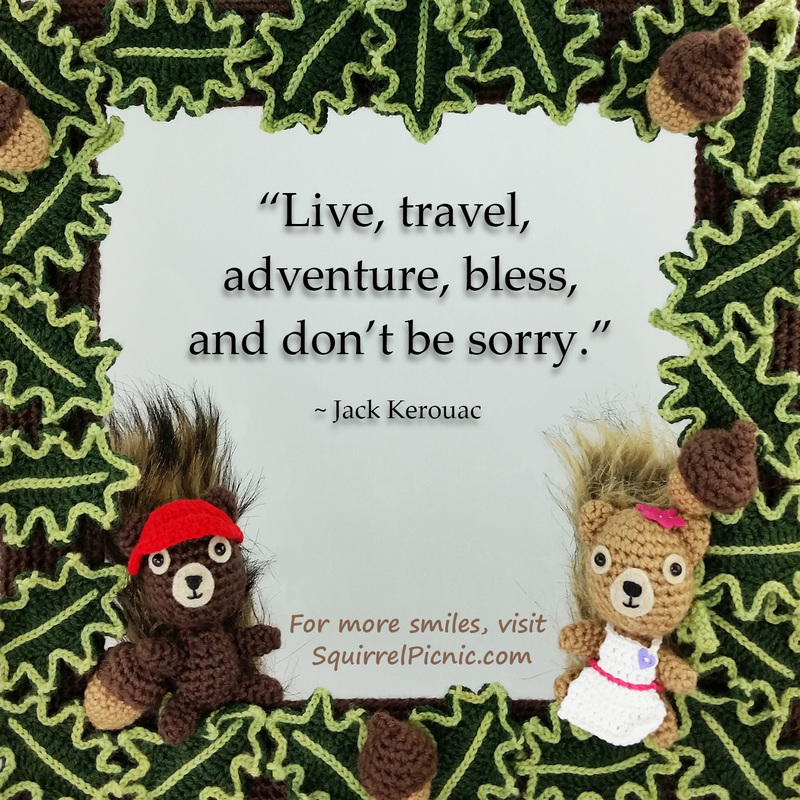 Categories: SQUIRREL PICNIC (the book) | Tags: adventure, amigurumi, crochet, giveaway, Instagram, pattern book, The Big Acorn Race, winner | Permalink.